People seem to like birds. That's nice, because so do I. 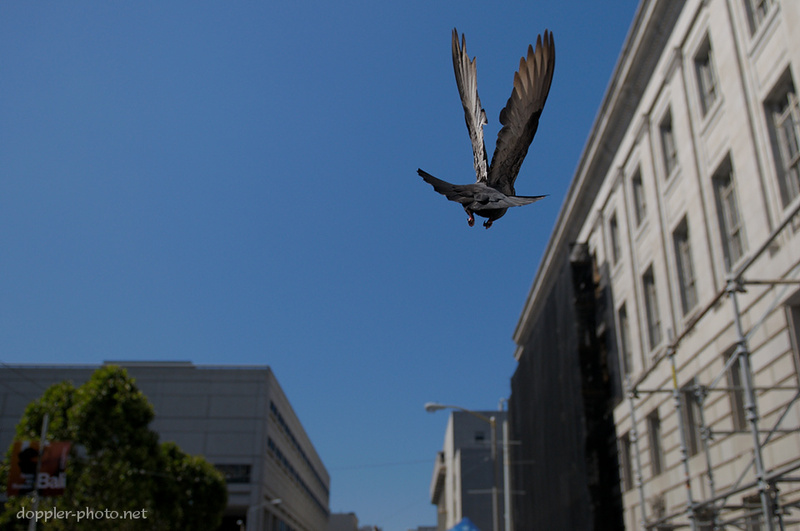 Here's a pigeon that I managed to capture as it was struggling against a strong headwind during SF Pride weekend.